Camera and Jet Snaking | Sitework Developing, Inc. This method involves pushing a camera lens through the pipe while monitoring a picture on a colored TV screen. This allows us to inspect inside of pipes to determine the exact cause of clogs and/or breaks. Using the wand we can locate the exact location of the problem minimizing yard damage and timely repairs. Repairing your wet basement doesn’t have to be expensive. Sixty to 70% of the time wet basements can be alleviated with only minor repairs. As your home ages, the basement waterproof system breaks down and becomes more vulnerable to water penetrating through the walls. 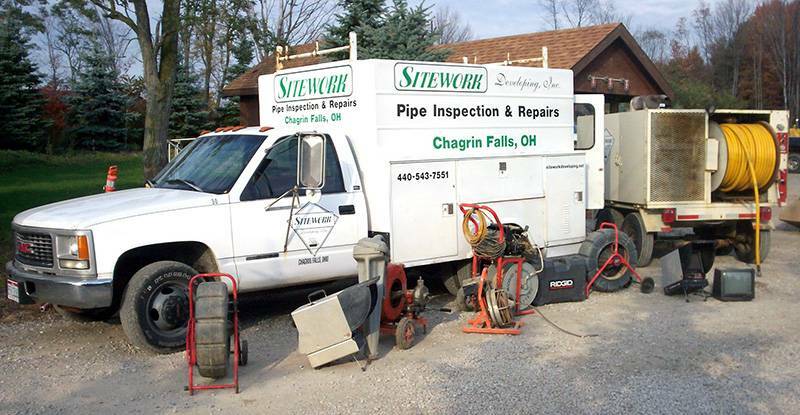 Sitework Developing, Inc. has prepared a list of inexpensive repairs that can be done to possibly alleviate a wet basement before you go through the expense of a complete waterproof system.